Most people are skeptical that we’re heading into a clean-energy future. They find it hard to believe that solar energy is fewer than 14 years away from meeting 100 percent of today’s energy needs. They argue that today solar energy hardly provides one percent of Earth’s energy needs and that we can’t effectively store sunlight — and therefore have a long way to go. But when technologies advance exponentially as solar is doing, one percent solar means we are halfway from 0.01 percent to the goal of 100 percent. The prices of solar panels have fallen 75 percent in the past five years and are advancing on a scale comparable to Moore’s Law, as tech guru Ramez Naam has documented. At this rate, solar energy is only six doublings away from 100 percent. Even then we will use hardly 1/10,000th of the sunlight that falls on Earth, so we can increase our usage dramatically without fear of running out. What has been holding solar back so far has ostensibly been the cost of storage. Technologies such as batteries were prohibitively expensive, large and cumbersome. Residential solar installations needed to feed into the electric grid during the day and to buy back energy during the night. This is a problem that Tesla has just fixed, though, with its Powerwall, a rechargeable lithium-ion battery. The Powerwall is available in two configurations: 7kWh and 10kWh. The larger unit provides the backup power needed if the grid goes down. 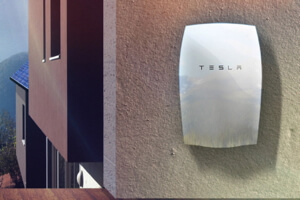 Tesla says that the 7kWh Powerwall is sufficient for daily use. It is selling the units to installers for $3,500 for 10kWh and $3,000 for 7kWh. There is no indication of what the installation costs will be, but they should not be substantially more than those of the charging stations for electric vehicles: in the region of a thousand dollars. I already live in the clean-energy future that I write about. I live in a solar home that provides most of the power needed for heating, cooling, and cooking — and for charging my Tesla Model S. My electric bills in the California winters are in the $100 range, but are zero or negative in summer (because, with “net metering” — a state policy that requires utilities to pay residential solar-system owners for the green power they send back to the grid — the utility company buys energy from me when I have excess). This is a tiny fraction of what I used to spend. But I am dependent on the grid and have to bear power outages when they occur in the neighborhood, every year or so. Nothing is more annoying than having the sun shine and generate electricity that you can’t use. This is the problem that Tesla promises to solve for me. For most consumers, it will be a matter of economics. Utilities charge more during the day, when energy usage is at its peak, and less at night when usage declines. Consumers will now be able to charge their Powerwalls up when prices are low, in the day, and reduce their energy bills. It is going to be a rocky road to the clean-energy future, because the entire fossil-fuel industry, starting with utility companies — which will face declining demand and then bankruptcy — will try to create political obstacles to solar. Several utilities, such as the Hawaiian Electric Company, are lobbying to stop the progress of solar power generation. Arizona has been trying to impose fees of about $50 per month for customers who use solar, and last year Wisconsin regulators approved fees of about $182 a year for the average solar customer. With the Tesla technology, customers will have the option of disconnecting completely from the grid — so the utilities that fight solar generation will only succeed in accelerating their own demise. Tesla is about to do to the power grid what cellphones did to the land line — free us from it. And it will dramatically accelerate the progress of clean energy. 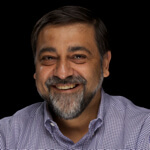 Vivek Wadhwa is a fellow at Rock Center for Corporate Governance at Stanford University, director of research at Center for Entrepreneurship and Research Commercialization at Duke, and distinguished fellow at Singularity University. 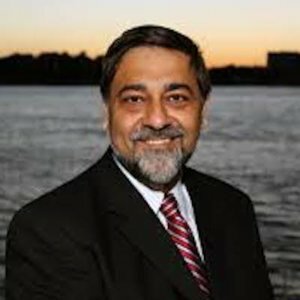 His past appointments include Harvard Law School, University of California Berkeley, and Emory University.